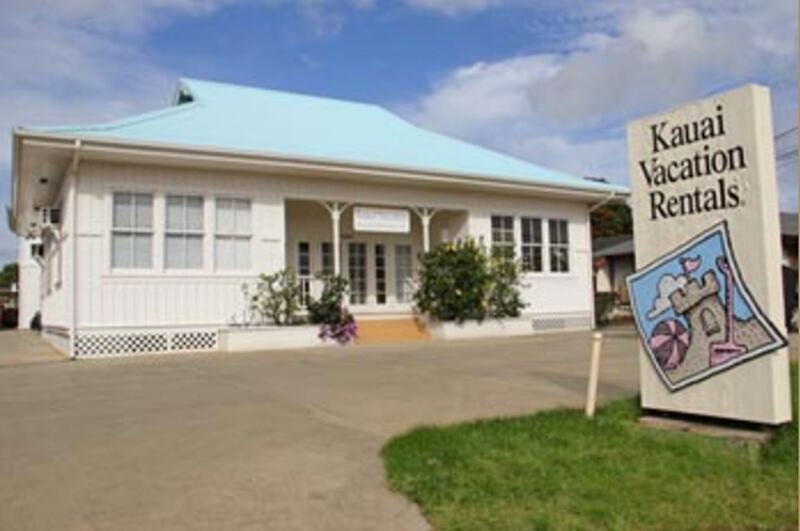 Kauai Vacation Rentals honors and provides an environment of Aloha Spirit, Integrity, Excellence, Joy, and Willingness to serve. We are a global link to Paradise committed to the care and preservation of our Island home, Kauai, where dreams come true. Come and Enjoy our Aloha spirit. It all began with a vision. A desire to share the magical island of Kauai with the world. And, founder, Lucy Kawaihalau, has dedicated her life to that goal through Kauai Vacation Rentals & Real Estate, Inc.
"In a vacation rental home or condo, you really feel like you're living here," reflects Lucy. "So, bringing together homeowners and guests to achieve the 'best fit' is only a part of our distinguished reputation. Our responsibilities are twofold. For our owners, we provide the best management and maintenance services so they can rest easy, knowing their homes are meticulously cared for, since they may be thousands of miles away from their investment. For our guests, we believe they should be treated like royalty." And, it is the respect for the guest that gained Kauai Vacation Rentals & Real Estate, Inc recognition throughout the world. A friendly team dedicated to serving the needs of guests, with attention to all the details, makes it all possible. "A vacation to Kauai is so meaningful," adds Lucy. "For some, it may be the trip of a lifetime. For others, it may be a yearly event. This is a splendid place to relax. Our guests are 'energized' when they go home. That's what we mean when we say, 'magical Kauai." This genuine business model embodies the Hawaiian word, 'Aloha,' and it has gained much recognition within the industry and business venues, including numerous awards. Many glowing articles have been written, from Kauai Business & Real Estate Magazine, Hawaii Business, and internationally distributed Travel & Leisure Magazine to famed Fortune Magazine. In fact, Lucy Kawaihalau was personally honored with coveted awards from the Small Business Administration and Kauai Chamber of Commerce for her successful business achievements. "I am deeply grateful for our recognition and awards," concludes Lucy. "Yet, it is the phone call, with heartfelt and glowing remarks about a visit to Kauai from a satisfied guest that brings us great joy. Therein lies our greatest achievement." © 2019 Kauai Vacation Rentals All rights reserved.